Acute lymphoblastic leukemia, sometimes referred to as ALL, is a disease that impacts one out of every 50,000 people. The expensive treatment for ALL has lead many to use DonationTo.com and raise funds for the treatment. As you continue reading we have outline those who have already raise thousands to pay for the treatment. Today, children between the ages of two to five-years-old are the most likely to contract it, but anyone can be diagnosed with it. Acute lymphoblastic leukemia requires an extensive treatment program that typically lasts between two and three years. Because of this, it is almost impossible for families and individuals to deal with the expenses related to ALL on their own, regardless of how good their insurance is. It is becoming increasingly common for people to utilize an online fundraising campaign to offset some of the expense of the necessary treatment for Acute lymphoblastic leukemia. By using DonationTo, it is easy to gather support from a wide range of donors. For example, consider how many times you have seen a fundraiser advertised for a member of your community. Even though you might not have known the individual who was sick, you most likely make a donation. By letting people donate online, you can greatly increase the chances of covering all of the life-saving treatment that is crucial for an acute lymphoblastic leukemia patient. Fundraising for ALL can achieve 2 things – 1: Bring friends and family close together. 2: Raise the funds required for the treatment. DonationTo.com provides ALL patients and their families with a powerful resource that will enable them to easily raise money online. Unlike some of their competitors, DonationTo.com provides organizers to keep 100 percent of the funds collected and avoid all credit card fees- this ultimately enables those with ALL to hit their goal faster. In addition to making it easier to raise money online, DonationTo.com also provides the necessary tools to help people who are in the process of learning how to fundraise. By creating a fundraising page at DonationTo.com, you will be provided with social media integration and access to fundraising ideas that will help you ensure a fully funded campaign. Therefore, whether you need to raise $10,000 or $100,000 to pay for acute lymphoblastic leukemia treatment, DonationTo.com enables anyone to save 100s to 1000s of dollars. On November 13, 2012, Matt Pohler and his family received the news that he was tentatively diagnosed with acute lymphoblastic leukemia and would need immediate treatment. The Pohler family quickly turned to DonationTo.com to aid them in raising the $10,000 that was necessary for the initial round of hospitalization and chemo treatments. Matt’s doctors informed his family that he was going to need to be hospitalized for at least seven days, and he would then need to spend at least 30 days residing within 20 minutes of the hospital so that he could receive emergency blood transfusions if necessary. Matt’s immune system was also greatly weakened by both the symptoms of ALL and the chemo therapy, and this made it even more imperative for him to have easy access to the hospital. Matt’s family was able to generate enough online donations to cover the first round of his necessary medical expenses. 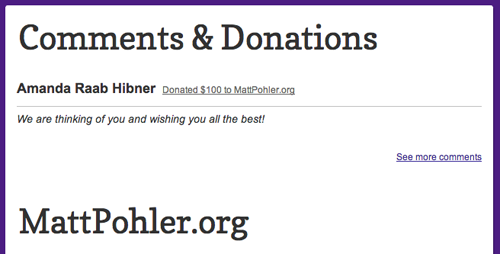 By using an online fundraising host that gave them 100 percent of the donations that were received, the Pohler family was also able to put an additional $700 toward Matt’s treatment. The average cost that other similar websites charge is 5 percent of the money that is donated, plus two percent for credit card fees. If you consider for a moment how much of a negative impact losing $700 could have had on Matt’s life, you will easily see why the family decided to work with an online fundraising platform that placed attributed more money towards Matt’s treatment. In fact, for as low as $9 a month, DonationTo.com will host your fundraiser without taking a cut of any of the money that you raise. In addition to saving money by receiving 100 percent of the donations, the Pohler family was also able to avoid paying credit card fees. It is a standard practice in the online fundraising world for the recipient of the donations to be held responsible for covering credit card fees, but DonationTo.com waives all of these fees for anyone who selects their basic, advanced or premium fundraising plans. Again, if you consider the impact of having credit card fees taken out of the donations that you receive, you could end up losing $200 alone for every $10,000 that you raise, along with another $500 to cover the percentage fee. When it comes to someone’s life, it is too important to risk throwing away that much money. Another great perk of using DonationTo.com is that it is not necessary to have any technical skill. Consider for example how difficult it might be to set up a website dedicated to your fundraiser if you have never done anything like that before. To help you avoid this problem, DonationTo.com provides an easy to utilize template that has a learning curve of almost zero percent. In fact, the template is so easy to use, people of all ages, backgrounds and interest levels have been able to quickly post fundraisers that became very successful. Although most people begin using a DonationTo.com fundraising page with the sole intention of enabling people to donate online, the page can also quickly turn into a source of support for the individual who is afflicted with acute lymphoblastic leukemia or any other medical condition. For example, each person who makes a donation will be given the opportunity to leave a comment, and these messages can then be shared with the patient. It is always important for people who are undergoing extensive medical treatment to feel the support of their family and friends, but it is sometimes difficult for everyone to be able to visit. By using the donation page as a resource to allow people to leave messages of support, you can help the patient see how many people are rallying behind them. The donation page can also easily be used to keep everyone in the loop. The person who is organizing the fundraiser has the ability to post updates on a regular basis, and this will help people feel involved in the process. It is a good idea to post updates so that you can avoid receiving a large quantity of messages and phone calls asking for new information. As an added bonus, if your supporters return to the page on a regular basis to receive updates, they will also feel more inclined to make additional donations. You can learn more about the Pohler family’s successful fundraising campaign by visiting here. As previously mentioned, acute lymphoblastic leukemia is a disease that typically impacts children. The most common age of diagnosis is between two and five. However, people of all ages have been diagnosed with ALL, and anyone between the ages of birth and 19 is especially at risk. Fortunately for children, the cure rate is 80 percent. The older a patient gets, though, the more difficult it is for their condition to be cured. ALL also becomes increasingly difficult if it is left undiagnosed for an extended period of time. Therefore, it is vital that the disease be diagnosed and treated as quickly as possible. Even in cases when the patient has an excellent prognosis, they will still require an extensive treatment plan that can last longer than three years. Because of this, it becomes a necessity for almost any family to seek financial assistance by holding a fundraiser. Consider for example how difficult it would be for you to come up with an extremely large amount of money on a regular basis over a three-year time frame. For the average American family, this would lead to either bankruptcy or the heartbreaking decision of not receiving proper medical care. To avoid both of these issues, you can ask people to donate online to a very worthy cause. According to a research study that was completed in Mexico, the average acute lymphoblastic leukemia patient can expect to pay as much as $58,601 for their treatment. Unfortunately, this is a number that is steadily increasing, and soon it will be even higher. As you can see, an ALL diagnosis comes with two shocking disclosures: the patient’s health issues and the financial burden that they are about to present. 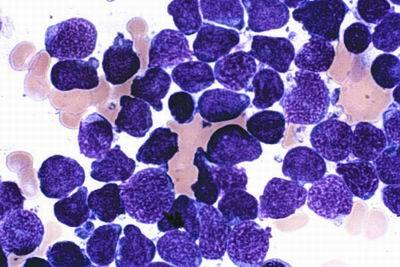 Left untreated, acute lymphoblastic leukemia can cause death within just a few weeks. The disease features the continual development of immature and malignant white blood cells in the patient’s blood marrow. In a very short period of time, this issue will spread to the patient’s organs. Many of the symptoms of ALL are painful, and they include bone pain, excessive bruising, fatigue, anemia, petechia, weight loss, enlarged lymph nodes, breathlessness and swelling in the abdomen or lower limbs. Acute lymphoblastic leukemia can strike at any time, and the family of three-year-old Natalie Grace were delivered this unfortunate news on August 16, 2012. In order to treat Natalie’s illness, her doctors have prescribed a two-year treatment program. In addition to the typical costs that are associated with treating ALL, Natalie’s diagnosis also included the requirement for full-time, in home care for a period of at least seven months. Natalie’s parents were both working before she contracted acute lymphoblastic leukemia, but her mother needed to take a leave of absence from her position with Women’s Health magazine in order to be there for each treatment. This caused the family to deal with the financial hardship of paying medical bills and all of their regular monthly expenses with just one salary. Instead of sliding into financial ruin, Natalie’s family decided to turn to DonationTo.com. Their online fundraising campaign has a goal of $20,000, and in less than five months they have already received almost $11,000. Because Natalie’s treatment will last for two years, the fundraiser is scheduled to end two years after its set up date. With such an extended period of time left and donations continuing to come in on a regular basis, it is easy to speculate that the goal will be met and possibly even exceeded. Natalie’s family selected DonationTo.com as their fundraising platform because it would enable them to keep 100 percent of the donations that they receive and avoid all credit card transaction fees. If they had selected one of DonationTo.com’s competitors instead, they could have already lost almost $850 of the donated funds to cover the expenses of the fundraiser. In a case like Natalie’s, every dollar counts, and that is why it was important to her parents to find a website that would let them raise money online without paying high fees. Another perk of using the DonationTo.com platform is that Natalie’s parents did not have to have any specific technical knowledge in order to set up their page. In fact, the template that is already in place makes it easy for anyone to launch their page within a few months, regardless of whether or not they are in the beginning stages of learning how to fundraise. Because there are continual costs associated with acute lymphoblastic leukemia, DonationTo.com enables fundraising organizers to receive money on a regular basis. Instead of waiting for a check to appear, the company offers direct deposit in real-time into either a PayPal or WePay account or both! DonationTo.com makes it easy for people to donate online. 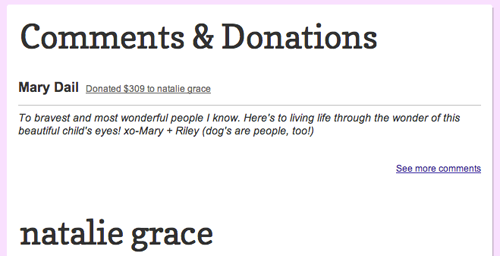 Each fundraising page, including the one for Natalie Grace, provides donors with the option to pay via credit card, PayPal or WePay. Offering multiple payment options makes it much easier for people to meet their fundraising goals, and it is also easier to encourage people to pay online instead of in person because they can do it at a time that is convenient for them. One of the reasons that the fundraiser for Natalie has been so successful is that her mother has been providing regular updates about the treatment process on the fundraising page. By keeping people informed on the fundraising page, it is easy to generate additional donations, and it also makes it easier to ensure that the family will not have to deal with a large quantity of questions on a daily basis. On September 13, 2012, seven-year-old Ryan Campanaro was diagnosed with high risk acute lymphoblastic leukemia. It took a few months for his doctors to refer Ryan to the Arnold Palmer hospital, located in Orlando, Florida, but once he was there, doctors quickly determined that he was suffering from ALL. Because of the high risk nature of Ryan’s diagnosis, it is expected to take three and a half years for him to undergo the necessary treatment process. In addition to dealing with ALL, Ryan also developed a brain clot on his brain as a result of the chemo. Ryan’s family set up a fundraising page via DonationTo.com to help them pay for his medical treatment. Within a very short period of time, the family was able to gain instant access to over $3,500. The fundraiser continues to run, however, because the deductible alone during the first six months of treatment is $14,000. In addition to which, Ryan’s mother has to drive him almost two hours round trip each time he needs to go to the hospital. By the time Ryan’s treatment is finished, he will be three and a half years older, and his family would have been in a great deal of debt if they had not decided to utilize the power of an online fundraiser. DonationTo.com enabled Ryan’s parents to set up an online fundraiser without the need for any specialized technical knowledge. In fact, the template that the website provides was designed to be easy enough for even a child to use. After simply uploading a photo and providing the details of Ryan’s story, his family was ready to click publish. Most online fundraising sites require a percentage of the donations that are collected and a fee for all credit card transactions. Fortunately, DonationTo.com takes a different approach. For as little as $9 a month, you can host a fundraiser that is free of credit card fees, and you will also receive 100 percent of the donations that you collect. With a competitor’s site, Ryan’s family would have already lost as much as $245 due to the fee structure. It is difficult for any fundraiser to lose that much money, but it is even harder for a medical fundraiser to rationalize such a big financial loss. 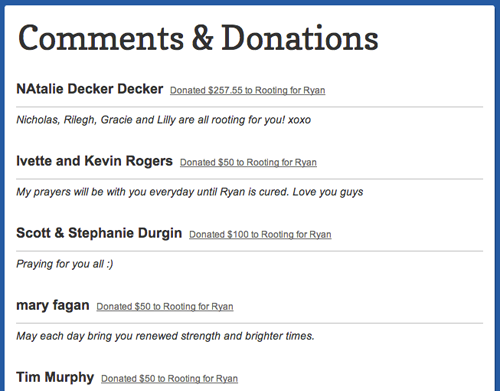 Aside from receiving 100 percent of the donations, Ryan’s family will also be able to access their money in real-time. DonationTo.com does not make fundraising organizers wait to receive a check in the mail, and they also will not make anyone wait until a specific dollar amount has been raised before they release funding. Instead, Ryan’s family will be able to receive each donation almost instantly into their PayPal or WePay account. This is a wonderful perk for any fundraiser, but it is especially useful when the money is being used for medical purposes. Consider for example how expensive each treatment is and how often hospitals require a payment. If Ryan’s parents had to wait until the end of the fundraiser to receive the money that had been donated, they would still face the same financial hardships that would accompany raising no money at all. In addition to receiving financial assistance, Ryan’s parents can also utilize their online fundraising page to keep people updated about his progress. This makes it easier to deal with everything that is happening on a daily basis because they will not need to answer as many questions from their family members and friends. The fundraising page also enables donors to leave supportive comments, and this can be a very valuable asset on difficult days. Because childhood instances of acute lymphoblastic leukemia are curable in approximately 80 percent of cases, Ryan’s prognosis is very good, especially if his family is able to raise all of the necessary funding to get him through the next three and a half years. To learn more about Ryan or to make a donation, you can visit here. DonationTo.com provides people with an easy to use and inexpensive platform for hosting online fundraisers. Even if you are new to the process and are unsure about what to do, the website will provide you with all of the necessary tools, and it will also give you some fundraising ideas to ensure a fully funded campaign. Acute lymphoblastic leukemia is a serious health condition that is typically diagnosed in children. Although the cure rate is approximately 80 percent, it is necessary for patients to receive immediate treatment in order to survive. The duration of a patient’s treatment will vary depending on the severity of the disease, but it is common to spend at least two years receiving regular chemo treatments. The cost of this extended treatment can be astronomical even with the best insurance, and that is why many families have chosen to use DonationTo.com as a resource for receiving assistance from other people. Unlike many other online donation websites, DonationTo.com does not charge any credit fees, and they also enable fundraising organizers to receive 100 percent of the money that is donated. Because of this, you can avoid losing up to 7 percent of the donations that you receive. For example, if your fundraiser hits its goal of $10,000 at another site, you might find yourself receiving only $9,300. With DonationTo.com, however, the full $10,000 will be made available to you. To make the process even better, you will receive each of your donations into your PayPal or WePay account in real time. DonationTo.com makes it simple for anyone to set up a fundraising page. Therefore, regardless of whether you are in the process of learning how to fundraise or you have hosted several successful fundraisers in the past, you will be able to publish your page in just a few minutes. There is absolutely no technical knowledge needed on your part, and your page will be equipped with the ability to accept donations via credit card, PayPal or WePay. Ryan, Natalie and Matt are three prime examples of how successful an online fundraiser can be. Whether you or a family member has acute lymphoblastic leukemia or another medical condition, DonationTo.com can be a value to fundraising online.